The lunch today at Yankee Trace was great! It has been a few weeks since the Centerville Noon Optimists have gotten together. Have a Happy and Optimistic Year! The Dickerson family has started The Chuck Dickerson Memorial Scholarship. The scholarship will be awarded to a high school senior who is a child or grandchild of a current or former member of the Centerville Noon Optimist Club. The scholarship application is available now for the 2019-2020 school year and is available online at Scholarship Connect on https://www.daytonfoundation.org/. All sections need to be completed on the application for consideration. Donna Huss announced there will be a “NOW” Event on January 17, 2019 from 5-8 PM at Yankee Trace. This is a great time to invite guests (potential new members) to actually have a visual of what we do in giving back to the community. NOW is an acronym for “New Optimists Welcome”. Read more about it here. 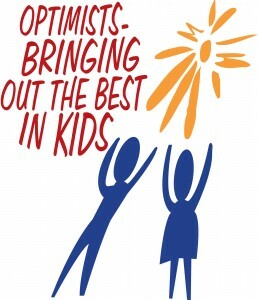 It is a program designed to capture the interests of prospective new Optimist Club members. Greg Griffin gave the summary of the tree lot sales. There was just short of $90,000 in sales with a profit of $48,000. Nancy Lehren announced there will be Childhood Cancer/Build-a-Bear meeting at Panera Bread on January 10, 2019 at 6:30; all are welcome. Chris McAlpine introduced Josh Staley, the director of premium ticket sales for FC Cincinnati. FC Cincinnati is an MLS soccer club based in Cincinnati, Ohio. The club was started 3 years ago. They will begin play in Major League Soccer in 2019. Josh is a graduate of Centerville High School and Chris McAlpine coached him in soccer when he was age 10 through age 16. 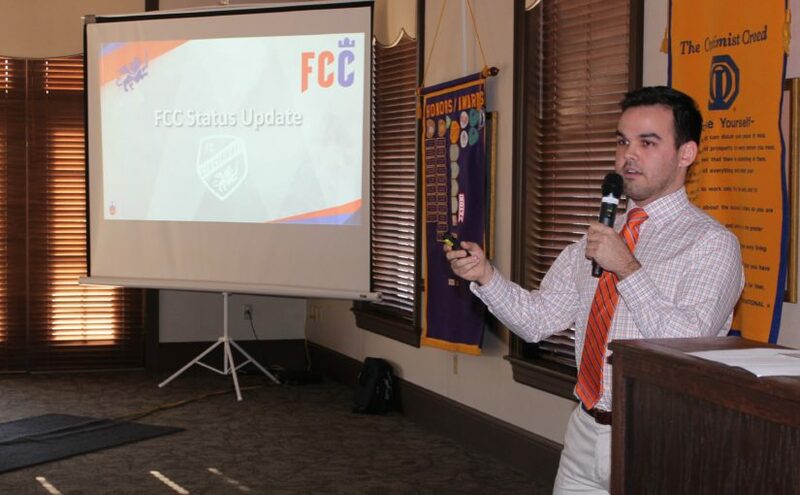 Josh highlighted the accomplishments and growth of FC Cincinnati and showed a video about the club. Soccer is very popular in the U.S. By popularity, the top five ranked sports in the U.S. are the NFL, MLB, NCAA Football, MLS, and the NBA. Soccer is the 3rd most viewed U.S. Sport. FC is a winning brand that is family friendly, with visibility in the community for the Dayton and Cincinnati area. They have worked to keep the tickets at a family friendly price close to the cost of having a family outing to see a movie. Josh stated a significant difference is at a sporting event, you can still talk with your family unlike at a movie. FC Cincinnati supports the local community. They support many local youth soccer clubs. Mercy’s Health Training Center in Milford is being built to be open at the end of 2019. The players will train there and youth soccer clubs will also have access to the facility. First match was April 19, 2016 with 15,000 in attendance. Average attendance is now 24,000. Carl H. Linder III is the majority owner of the club. Home matches are played at Nippert Stadium at the University of Cincinnati. They are building a new stadium in Cincinnati called West End Stadium. The stadium will be located in the West End neighborhood at the current site of Stargel Stadium, on Central Parkway at Wade Street. It is expected to open in 2021.